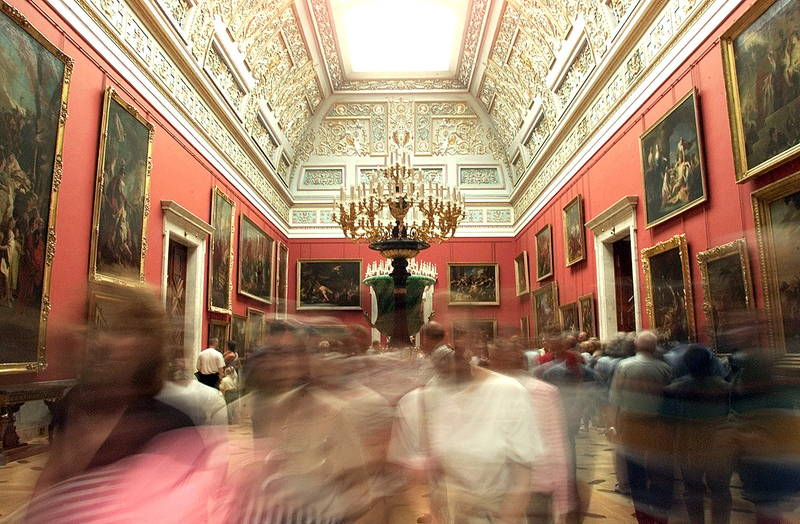 Visitors view works of art at the State Hermitage Museum in St. Petersburg. Tourists also named cultural treasure the third-best museum in the world. The State Hermitage Museum in St. Petersburg has once again been voted the best museum in Europe and, this year, has additionally been named the third-best in the world, according to TripAdvisor. "This year the State Hermitage Museum repeated the success of 2014 and became not only the best museum in Russia and Europe, but also one of the three world leaders. The winners were chosen through a specially developed algorithm that considered the quantity and quality of reviews and the museums' rankings in various countries based on information gathered in the last 12 months," according to a statement from the Hermitage press service. In their reviews, foreign visitors called the Hermitage "one of the main reasons to visit Russia and St. Petersburg." The Metropolitan Museum of Art in New York topped this year’s Top-10 list of world museums, followed by the Art Institute of Chicago. The Hermitage, an enormous palatial complex and former residence of the Russian tsars, was built in the second half of the 18th century by the decree of Peter the Great's daughter Elizaveta. She wanted it to eclipse all the royal palaces of Europe, something that, visitors say, it does. No other palace in the world has an interior that contains so much gilding, marble, precious and semiprecious stones. In addition to the splendors of the building itself, the Hermitage is the home of one of the world’s greatest art collections, which began with the personal collection of Catherine the Great. After the 1917 revolution, a public museum was opened in the palace, presenting the world's cultural heritage from ancient times to the first quarter of the 20th century.